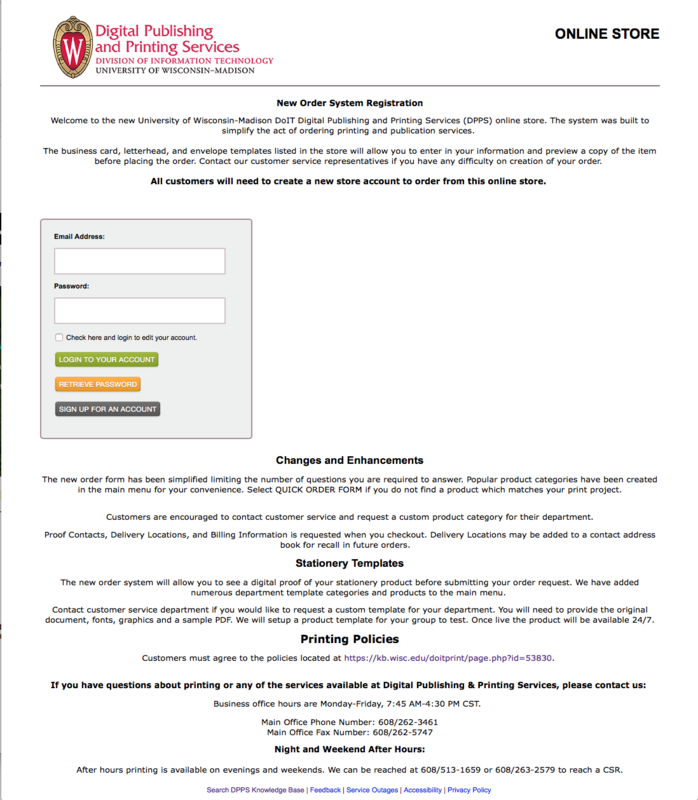 This page contains the process for registering for the UW DoIT Digital Publishing & Printing Services Online Order System. All customers will need a store account to order from the DPPS Online Ordering System. Please register as an individual rather than as a group or department. All correspondence will go to an individual with a unique email address. Click on the Signup Button and fill out the register form completely. The account screen also allows you to select a different store portal. Department portals can be created to provide a private selection of products and categories. The main portal for ordering printing is the DoIT Digital Publishing & Printing Services. You must enter in a Security Code to verify your updates after your edits have been completed on the account screen.